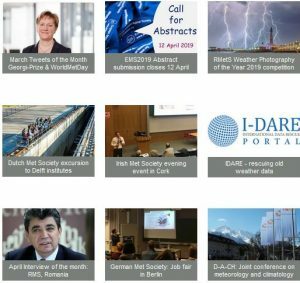 Starting with the EMS Annual Meeting and ECAC 2006, short conference papers are published in the Open Access Journal Advances in Science and Research, The Open Access Proceedings of the European Meteorological Society (ASR). Articles of ASR are included in the Conference Proceedings Citation Index (CPCI). The CPCI is part of Web of Science™ Core Collection which helps researchers access the published literature from the most significant conferences, symposia, seminars, colloquia, workshops, and conventions worldwide. This resource offers a complete view of conference proceedings and their impact on global research, providing cited reference search to track emerging ideas and new research beyond what is covered in the journal literature. Two editions cover the sciences and social sciences. (see http://thomsonreuters.com/en/products-ser-vices/scholarly-scientific-research/scholarly-search-and-discovery/conference-proceedings-citation-index.html). All conferences (edition to edition) are evaluated individually regarding their inclusion.